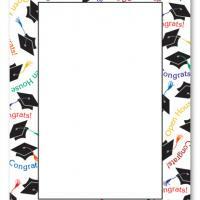 Like the crowning of a new royal, make your academic achievement known and announce your celebration to everyone with this blank scroll card invitation. 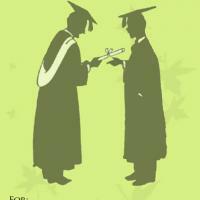 These printable graduation invitations feature a beautiful scroll on a blue and green background ringed in gold. 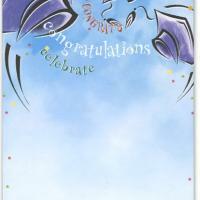 It's a great card for those graduating from programs like history or those who like to do things like with a flair. 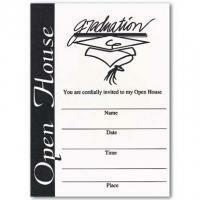 Type the event details and print on a card stock. 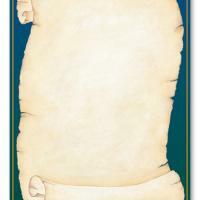 These free printable invitations can really set the tone for the whole party, so print and enjoy today!